When you first met and fell in love you might have thought it would last forever. Now you feel the need to end the relationship even though you're still in love. You might realize you feel more love than your partner does. Perhaps you've grown tired of broken promises and the heartache of waiting for a deeper commitment that never comes. You have different goals and dreams. Breaking off a relationship while you're still in love is painful, but if you are certain this is the right thing for you, focus on the future and follow through on your resolve. Breakups are difficult, especially if you're still in love. Make a list of all the reasons that led to your decision to break up. Writing them down will help you confront the inevitable and help strengthen your determination to proceed with the break. Remind yourself that you've concluded the negatives of this problematic relationship don't outweigh the positives and that it is in your best interests to make the break. Arrange to meet face-to-face. Although you might be tempted to take the easier way out and send a text or an email, you owe it to your partner to look each other in the eye during this difficult process. Express how you feel without accusing or blaming your partner for your decision. It's best for both of you if you allow your partner to maintain dignity. State what you admire about your partner and express gratitude for the good times you shared, suggests public health analyst Rita Watson in her article, "6 Breaking-Up Styles: Hers and His," on the Psychology Today website. She also advises you speak directly without wavering. Let your partner know you've made up your mind and you're not going to change it. Don't allow your reflections of the past to overshadow the realizations you came to about the relationship not being viable, suggests psychologist Phil McGraw in the article, "Letting Go of Love," found on his website. He warns against glorifying the past. Avoid the temptation to remember only the good times you once shared. Don't allow yourself to forget your reasons for deciding to end the relationship. Consider expressing your emotional turmoil in writing. Composing a letter to your partner -- without sending it -- can be therapeutic, advises psychotherapist Tracy Cabot in her article, "Letting Go," on the website LoveAdvice.com. The process of putting your feelings on paper can help you reach closure. Expect to feel a sense of loss, even though the break-up was your idea. You'll need to give yourself time to mourn the bright future you believed you would have together. Make time to exercise; it will help alleviate the pain of your break-up. Physical exercise releases endorphins, brain chemicals that produce a sense of well-being, explains mental health author Therese J. Borchard in her article, "10Tips to Mend a Broken Heart," on the PsycheCentral.com website. Exercise can also provide an emotional lift as you will feel empowered. Don't sit home alone dwelling on the past. Cabot suggests that although you might need time before you're ready for a new, serious relationship, it is beneficial to get out and start meeting new people. 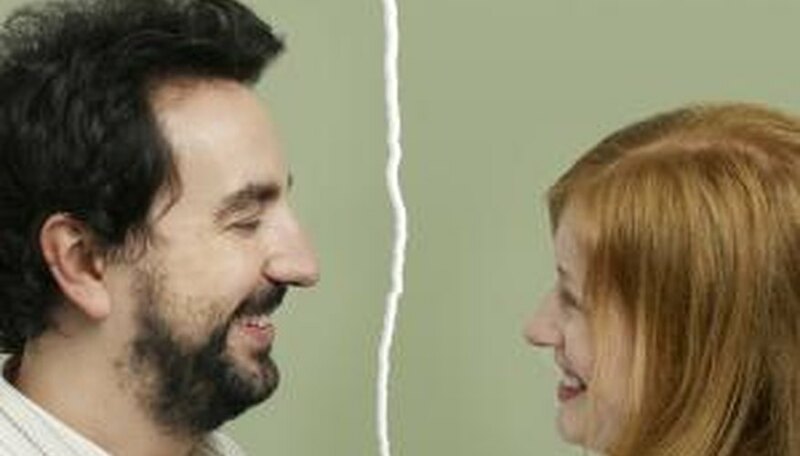 Huffington Post: For the Love of God, Just Break Up with Him Already! Glamour.com: You Won’t Believe These Breakup Stories! MailOnline: "We Gave First Love a Second Chance"
Silver, Freddie. "How to Break Up With Someone You Still Love." Dating Tips - Match.com, https://datingtips.match.com/break-up-someone-still-love-2319606.html. Accessed 22 April 2019.